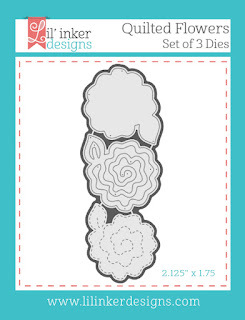 The fun begins today with the first of three days of blog hops for the Lil' Inker Designs July release. All of the new, amazing products are available NOW in the Lil' Inker Store. 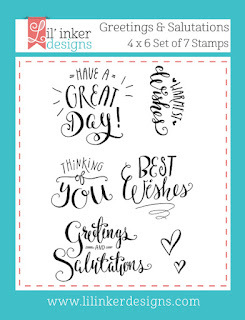 The July release is filled with fun products and images, perfect for many occasions and every day stamping. My card today features Greetings & Salutations, the Dotted Scallop Cover Up and Quilted Flowers. What's not to love about this release? 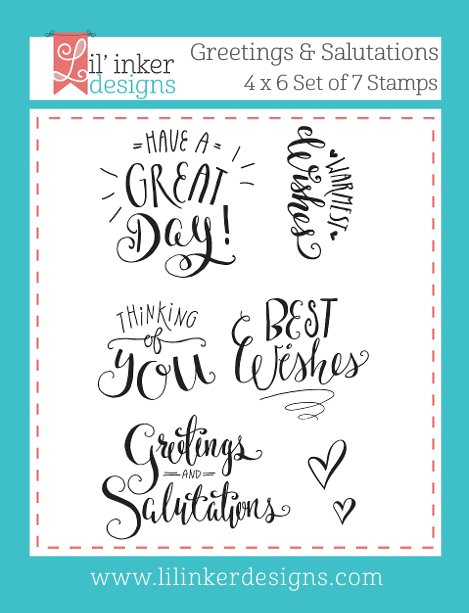 I'm drawn to versatile products, products that you can use time and time again for many different types of cards and occasions. If you are like me, you will LOVE this grouping of products! I had so much fun with the products I'm featuring today. I think my favorite part is using the cover up die as a matted layer, just a little way to stretch your supplies. Time to keep hopping along now. Next up is Chrissy! Make sure to leave comments along the way too, because Laura is giving away 3 - $15 Store Credits! it's a very beautiful card, Maureen! So pretty, Mo! Love the colors! So pretty. Love your color choices to show off that awesome cover plate. Oh my! Love this card! The cover-up die is to DIE for!! Really like the scalloped background. Very pretty. Your choice of colors is amazing. Beautiful card! Gorgeous card! Love these colors together! DELIGHTFUL card Maureen - LOVE IT ALL!!! I didn't realise how wonderful the Dotted Scallops would look - WOW!!! The scallop plate is so pretty. Such a lovely card! Beautiful color combination! Great card with a beautiful design! Love the color combo you used! Those flowers are really growing on me. What a fun release! I'm loving the flower dies! Thanks for showing us your ideas for using them! Love the new releases. Especially like the flower die because it doesn't add a lot of bulk to a card. Pretty card! I like the colors you used. Such a pretty showcase of the new release...the flowers are amazing! Lovely-I'm really loving the flowers! Really pretty...love that cover plate die. Love your card. The background die looks really nice. the background is so pretty - and it doesn't take a lot of work. Pretty card - I really like that new cover up. I do like the contrast with the black that you added- gorgeous!! Oh my...the Dotted Scallop Cover Up Die makes such a bold statement! Love your design! Pretty, pretty. Love that cover-up and the colors you used on your card. Loving the flowers! Nice card design. 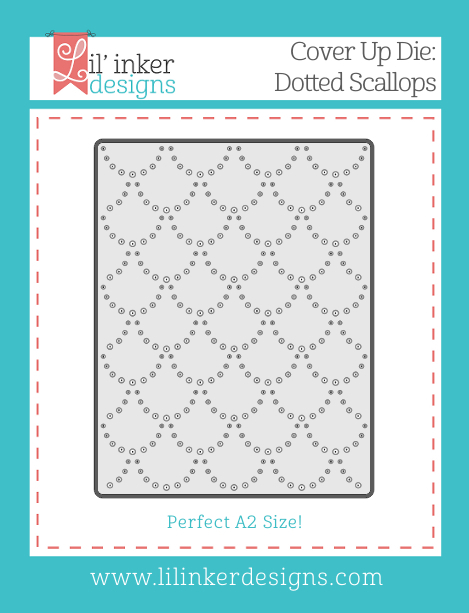 Love how you used the dotted scallop die. It truly made me have to have it! So lovely! Lovely AND happy card. I love this new release. LOVE that Dotted Scallops die and the Quilted Flower! Pretty layering and colors! Beautiful card. I like the color combo. Love how your flower pops on that fab scalloped background! What a fabulous card! Love the gorgeous colors! That scalloped background is wonderful! Lovely card, especially the striking quilted flower. STUNNING! I don't know what else to say! It's a total stunner they way you've put everything together here! Thank you!!! !